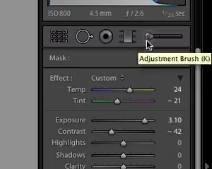 If you want to adjust the overall brightness of an image in lightroom select the photo and go to the develop tab. 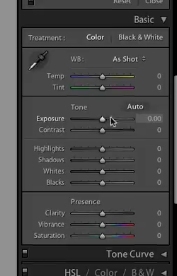 In the develop tab click the adjustment brush on the right of the toolbar. Scroll down to the basic treatment settings. 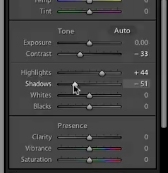 You can use these settings to bump up the overall brightness. Move the contrast, highlights, shadows, and whites around until you get the desired brightness. Once you’re done, your photo will be brightened.